Has anyone else picked up on the strange karma that happened on Friday between the worlds of politics and sports? On the very same day, and likely within moments of occurrence, President Barack Obama was announced as the recipient of the 2009 Nobel Peace Prize and golf received the okay for inclusion in the 2016 Olympics. Comment on the Nobel Peace Prize event is for another time and place, but suffice it to say that it is somewhat curious that President Obama can jet to Denmark and unsuccessfully secure an Olympic bid for Chicago and then one week later be awarded the Nobel Peace Prize emanating from the same corner of the world. As for golf in the Olympics it will be the same-old, same-old. Medals for golf in male and female events will be determined by a 72-hole stroke play tournament with 60 players in each field. Whoopee! Can't wait for another 72-hole event. 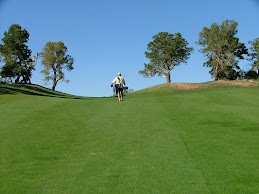 There are only two basic methods of competition in golf – stroke play or match play. All but a handful of events worldwide are resolved by stroke play. A few others resort to match play. So, if the Olympics are supposed to be special, why not come up with a special, Olympic-only format to decide the Golf Medal winners? But, aside from the humdrum, everyday format, the greater problem for Rio is the venue. Bradley Klein of Golfweek gives a good assessment of the dilemma. Golf is not quite as popular in Brazil as in the U.S. I'm sure the Brazilian Olympic organizers knew this was coming, but you can't help but think that they were secretly hoping for team snorkeling to be included instead of golf.